AnonD-222723, 13 Jan 2014Has anybody tried video calling with this device? How is d xperience? Plz guys let me knowVideo calling not good, voice is clear, but fps lags badly on 3G network too. 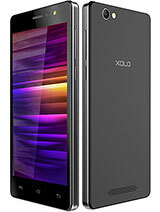 Jatin, 14 Jan 2014I am planning to buy XOLO A 550S model. IS it worth buying this one as compared to other An... moreIts worth buying. If u r smart, don't go for Samsung. Saptarshi, 07 Jan 2014Will the upcoming android 4.4.2 kitkat available for update in future? ?No, its not upgradable to Kitkat. [deleted post]Sorry dude, you have a problem in your phone. hand it to the service center. because it works fine on 2G as well as 3G. 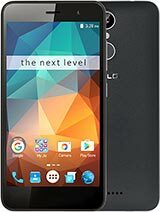 15 days ago I bought this phone, and I am very much happy with it. 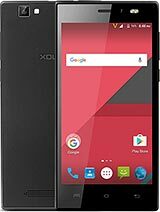 If you want to buy a phone below 7k, my first priority will be XOLO A500s IPS. 1.In looks, its the best I've ever seen in its range. 2.If you buy other than black, you wont get the matte finish which resists scratches. 3.Performance is good, little low on RAM, but processing is fast enough. 4.Its touch is up to the mark. 5.Camera okay in day, worst in night. 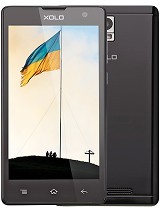 7.About Internet connectivity, it always depends upon the Sim-card you are using, nothing to worry about the phone, works well on 2G as well as 3G. 9.From the point of view of comparison, better than Micromax (Canvas 2,doodle,hd,3d),Sony Xperia (U,Neo,Neo L),all Samsung phones within this range. Note: The Brands mentioned above have their own quality in their aspects, Choice smart, buy smart. it's ram is only 500mb only thats the problem. 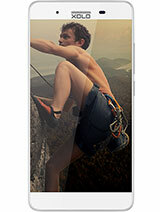 I was impressed by its specs so I canged my experia Neo V to A500s IPS. I am happier now. V good speed, nice touch response. No problems except that the LED is not so bright to be used as torch in complete dark. And also sometimes it stops to run internet. 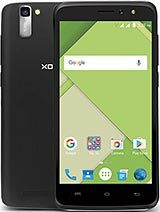 AnonD-222548, 09 Jan 2014Any one tel me how to switch off th message typing vibrate mode in xolo500 mble and how to dow... moreVery good Smartphone. Supports most of the games like Gangstar vegas, Asphalt 8, Mass Effect Infiltrator, etc.